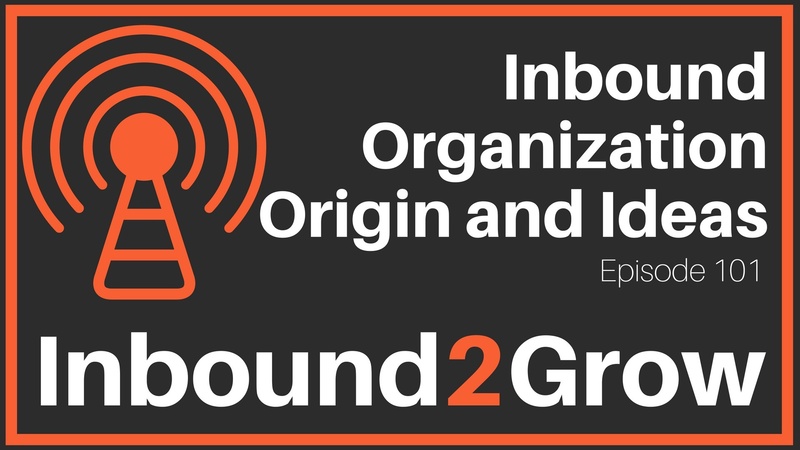 Welcome to Inbound2Grow, the podcast for leaders who want to grow better and become inbound organizations. In our inaugural episode, Todd and Dan talk about who they are, why they wrote Inbound Organization, and why everyone wants to grow but no one wants to change. From HubSpot to patents, Todd and Dan have a lot of experience in the world of marketing and sales. “What do you mean you don’t have a culture code?” and “How do you run a company in 2018 without an MSPOT?” Speaking together at a tool and die event in southern California, Todd and Dan saw that there was a lot of room in the world of business for a better understand and implementation of inbound principles to make a big impact on success. As Todd sold inbound as a methodology to c-suite executives, Dan had been working the problem of sales acceptance of inbound as an insider at HubSpot. Together they saw the same disconnect between marketing utilizing inbound tactics and limited success because of a failure of the greater organization to make changes that reflected the modern buyer. So, the idea of writing the Inbound Organization was born. Short and sweet, Dan thinks everyone should buy and read Inbound Organization. Everyone wants to grow. No one wants to change. Everyone wants to grow their business, but modern buyers demand more from companies. Unfortunately, a desire for growth doesn’t always translate into a willingness to make real changes to your business, culture, or mindset. Sign up to receive new episode updates either through our blog (https://www.inboundorganization.com/inbound2grow) or through your favorite podcast service!